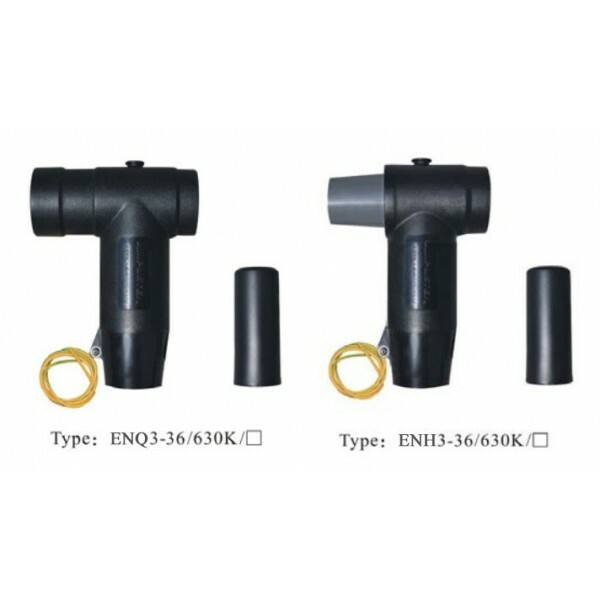 We can offer cable plug parts in medium/high-voltage, GIS inner cone plug-in connetor as well as screen zinc-dioxide arresters, covering voltage levels from 6KV to 40.5KG. Our plug parts ranging from 24KV to 36KV have passed the European electrical authority test-KEMA test. 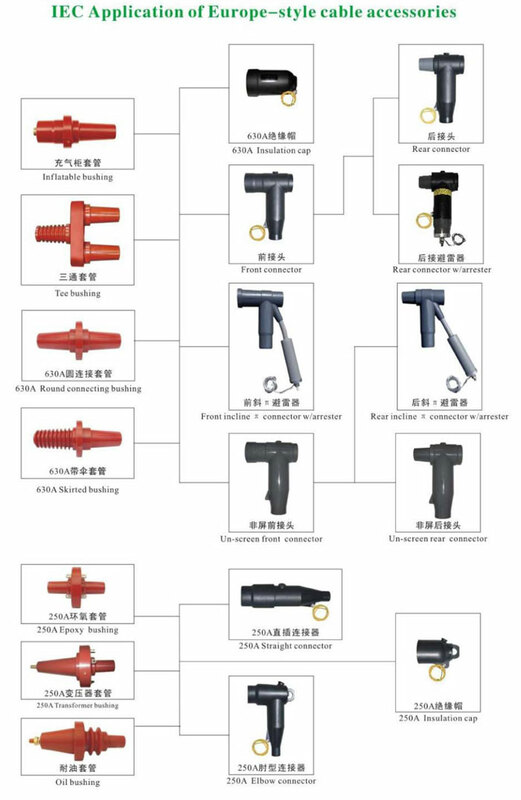 Our products provide excellent and complete cable branch power distribution resolutions and all the concerned product service for medium/high-voltage power distribution customers. 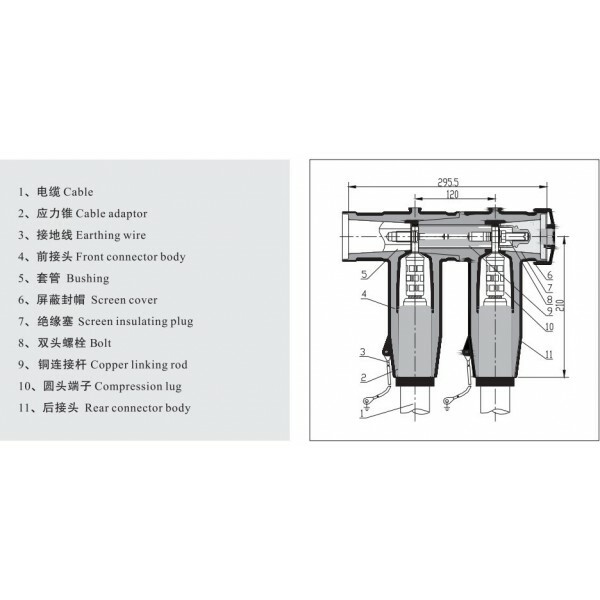 1.Screen front/rear connector is suitable for cable branch box,ring main unit and pad-mound transformer,etc. 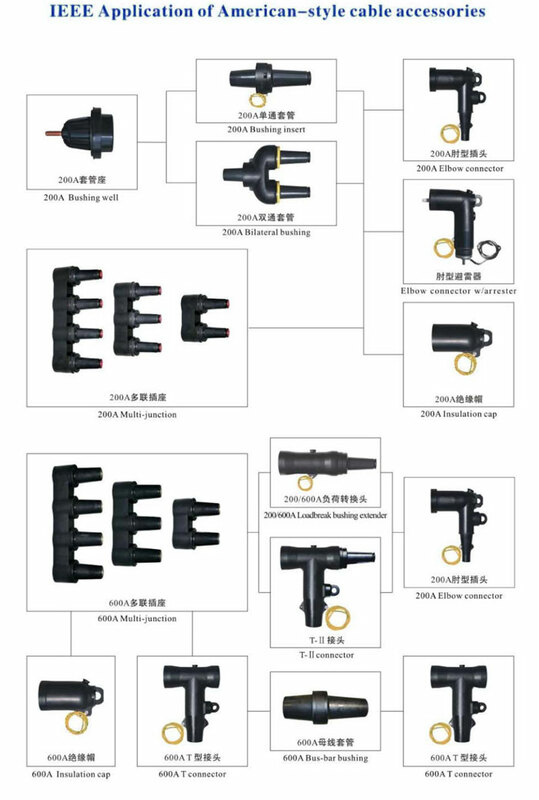 2.Suitable for full-sealing connection of size Φ46/Φ56/Φ91.5/M16 bushing(meet for EN50180 and EN50181). 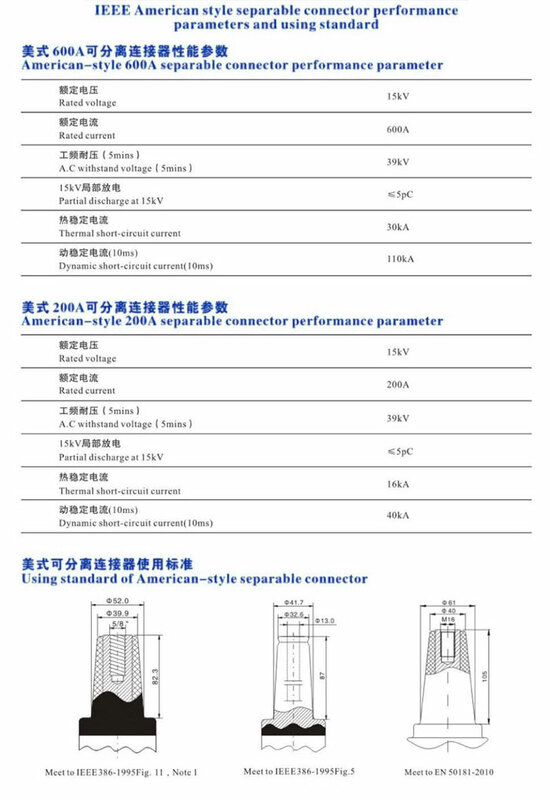 3.Apply to 18/30KV XLPE cable,and conductor cross section is 35-500 mm2. It can balance the eletric field intensity,high performance small space, special structure design,easy for installation,higher tolerance.